As a Casing Centralizer Supplier, let's introduce you to the Casing Centralizer. The Casing Centralizer is a device mounted on a casing string to center the casing string within the wellbore. It is one of the casing accessories. 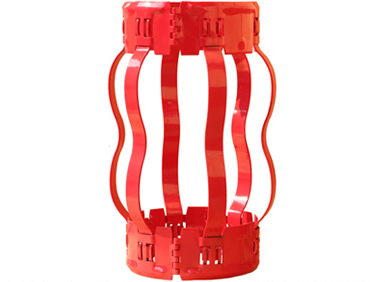 Divided into rigid centralizer and Bow Spring Centralizer. The casing centralizer has the characteristics of simple structure, convenient use, long service life and low relative cost. In addition to ensuring a certain thickness of the cement ring outside the casing string, the casing centralizer can also reduce the resistance when the casing is undercut, avoiding the stuck casing, and is beneficial to improving the cementing quality. A device in which a bow spring is spirally formed or a blade with a certain angle is welded in a spring centralizer to promote the formation of a swirling flow of the cement slurry, which is called a swirling spring centralizer.